Silva Screen Records has released the soundtrack by Dominik Scherrer to the recent BBC adaptation of J. B. Priestley's An Inspector Calls, in which a mysterious inspector appears after a girl's suicide to question the Birling family. For today's 126th birthday of Enid Bagnold, author of works such as National Velvet and A Diary Without Dates, a WWI memoir that embroiled her in trouble, here is the adaptation of her play The Chalk Garden. Deborah Kerr plays a mysterious governess who seeks to help troubled Hayley Mills. Bagnold's great-granddaughter is Samantha Cameron, wife of British prime minister David Cameron. Clues vol. 33 now in Kindle format. 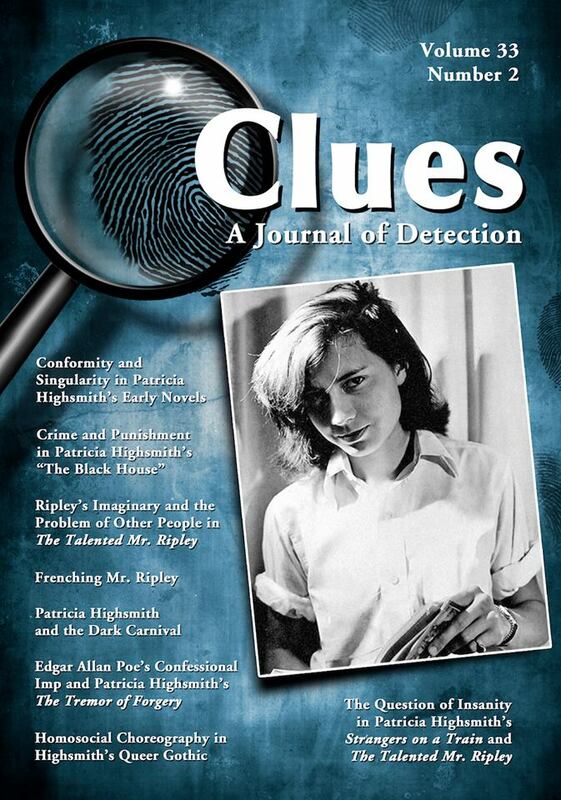 For those with e-readers: Clues 33.1 and Clues 33.2 (Patricia Highsmith issue) are now available in Kindle format. 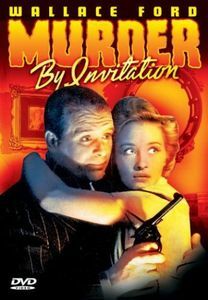 Disorder in the Court (1936) features Larry, Moe, and Curly as witnesses in a court case who uncover the perpetrator of a murder. Intellect Books in the UK will launch a new nonfiction series, Crime Uncovered, in November, which seeks to "explor[e the] genre in an intelligent, critical and accessible manner." Its first two volumes will be on the antihero (ed. Bath Spa University's Fiona Peters and Rebecca Stewart) and the detective (ed. Crime Time's Barry Forshaw). 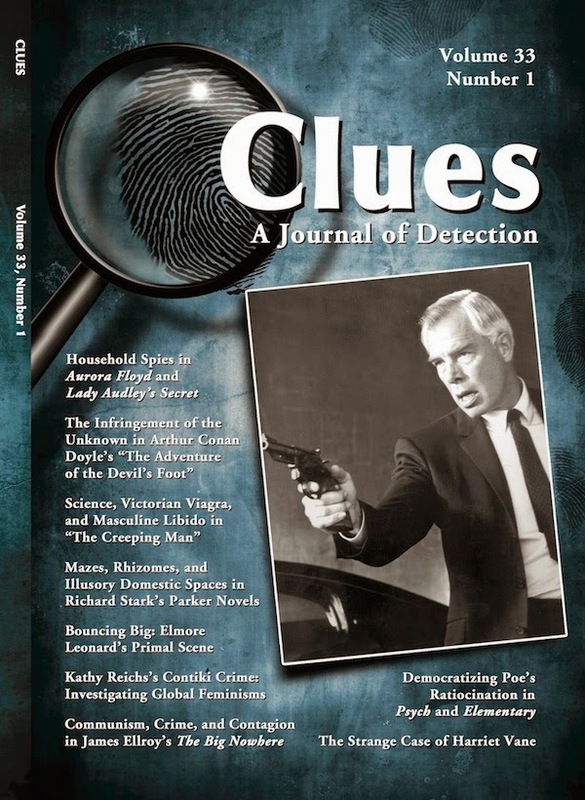 In March will be a volume on the private investigator (ed. University of Newcastle's Alistair Rolls and Rachel Franks). Wealthy woman, scheming relatives, occasional corpses. And you know you want to "jump with jitters!" 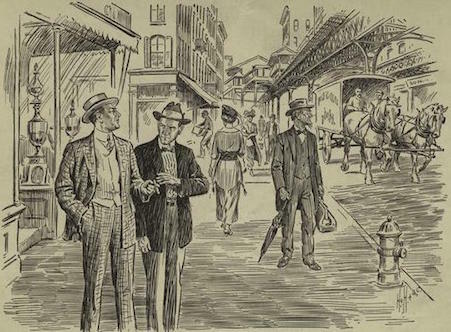 "Confidence Man: I seen him first, Joe. His Pal: Let's toss for him." Foxwell on WAMU's Metro Connection, Oct 9. 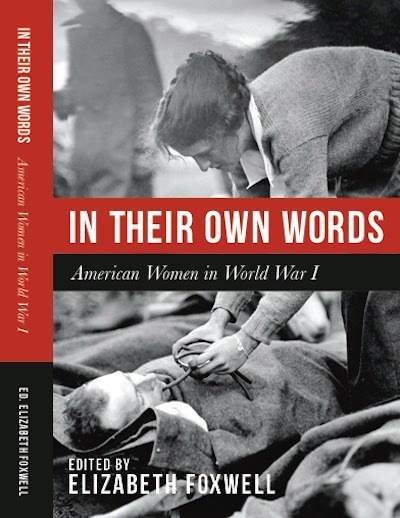 I'm appearing on WAMU's Metro Connection at 1 pm on Fri, Oct. 9, to talk about the local women who appear in my new collection In Their Own Words: American Women in World War I. Here I am with Metro Connection host Rebecca Sheir (right) at the DC World War I Memorial. Update. 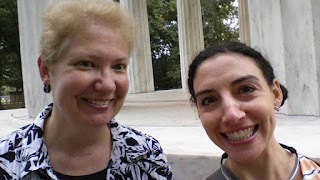 Link to the interview and my reading of an excerpt from the collection by Walter Reed librarian Gertrude Thiebaud. 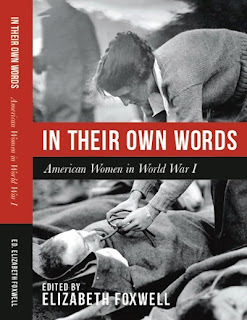 One More Page Books in Arlington, VA, will be hosting me for a talk/signing of In Their Own Words: American Women in World War I on Tuesday, Oct 13, from 7–8 pm. My friend Daniel Stashower (The Hour of Peril, Teller of Tales: The Life of Arthur Conan Doyle, The Beautiful Cigar Girl, etc.) will be introducing me. Framed by a nightclub singer for the murder of a coworker, Robert Preston also must thwart attempted sabotage by enemy agents in Pacific Blackout. 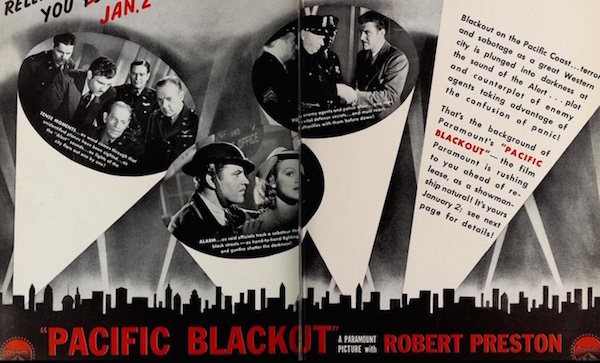 One of the writers is Curt Siodmak (brother of Spiral Staircase director Robert Siodmak).